Webley and Scott made airguns from 1924 to 1999 this is the Webley Junior probably pre war by the serial No. However it has metal grips and most guns were wood or plastic. 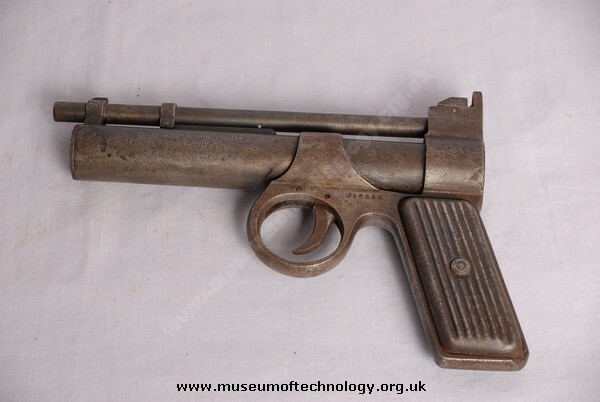 This particular model of the Webley Junior was first produced in 1931, with Steel grips as standard, until 1939 when production ceased with the outbreak of WW2.